The platform “invat.antem.org” is a new project in Moldova, which offers young people the possibility to learn for free the state language in order to improve themselves personally and professionally. 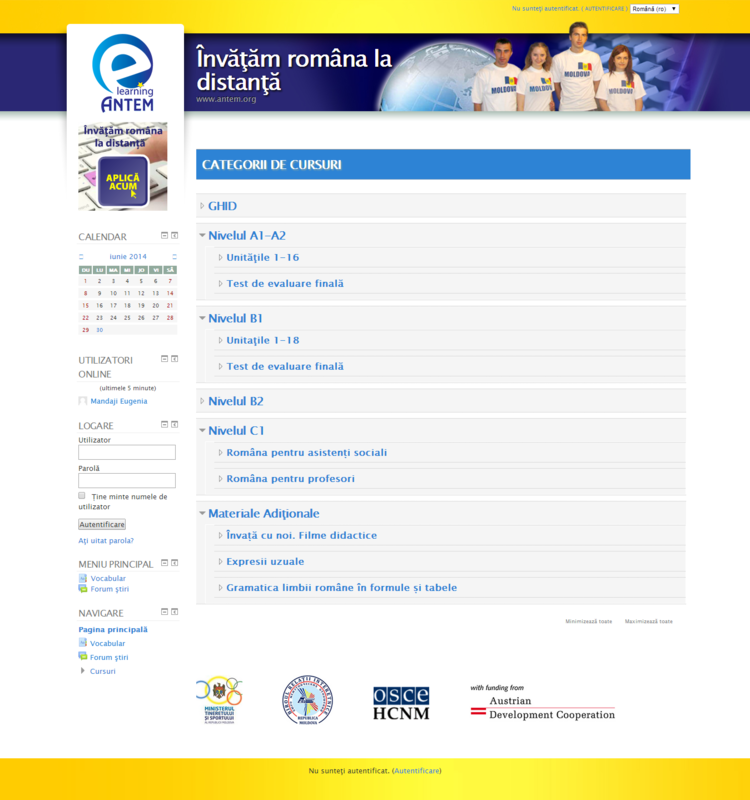 The platform covers the following levels: A1-A2, B1, B2, C1 for social workers and teachers according to Common European Framework of Reference for Languages and is designed in the context of teaching materials developed by ANTEM team: conferences, seminars and intercultural clubs organized by ANTEM. This project is funded by the Ministry of Youth and Sports of the Republic of Moldova. Group of beneficiaries will include young representatives of ethnic minorities who study in schools / universities / colleges or work in various fields (young professionals), people with disabilities who aren’t able to move in larger municipalities for courses, young mothers, etc. “Learn Romanian Remotely” is an innovative concept, which contributes to the availability of language training services and facilitates social and professional integration of national minorities whether or not they wish certification level of proficiency.